These rough men are our armed forces — soldiers, sailors, airmen, marines and coast guardsmen. Who are these rough men? Our rough men are the best of America. Young, capable, hard-charging soldiers. Salty, wise sergeants. All knowing Sergeants Major — seen it all. Intense, earnest young company grade officers — Lieutenants and Captains. Staff officers keeping the flow of information and supplies flowing. The same description is applicable to our Navy, our Air Force, our Marines and our Coast Guard. These men and women are the best that America has ever fielded. As dawn breaks in Afghanistan, or German, or Korea or at sea or patrolling the skies along our coasts — these men will be doing their duty and will have slept peacefully in our beds on Christmas Eve. Thank you, God bless you and protect you. God speed, warriors. The Boss has spoken on occasion of his experiences in the Army and, in particular, of one Christmas spent in Korea. 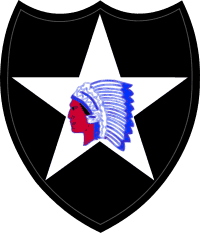 With the 2nd Engineers of the 2nd Infantry Division — the Indianhead Division. Stationed up by the Demilitarized Zone — the DMZ — working on fortifications at a likely river crossing of the Imjin River. They had demolished the old fortifications from the Korean War era using explosives, always a lot of fun and were now rebuilding stronger ones to withstand modern artillery. Lots of reinforced concrete. It was cold and snowy and just surviving was a challenge. Time passed quickly and as he closed in on Christmas, he literally forgot that it was upon them until one of the platoon sergeants inquired what they would eat on Christmas. It is a tradition to try to feed the troops an “all the trimmings” feast. Pretty damn hard hill to climb on the edge of a river 30 miles from the battalion headquarters. He jumped in his jeep and led a convoy of two trucks back to the battalion base and rounded up hot chow for two platoons — about 100 men in all. The company mess sergeant outdid himself. When he returned to the river, the platoon sergeants had set up a warming tent to protect the food. A feast was had by all. A cold feast on the side of a river in the snow. But just a little bit of America tight up against the DMZ in Korea. The Boss had managed to “borrow” a not insubstantial amount of whiskey which was used to flavor that black coffee. The troops appreciated that gesture and a merry spirit prevailed. The Boss went around and spoke to each of those soldiers — the tail end of the Viet Nam era draft was still on — about their homes and families and how they were likely celebrating Christmas that day. It was a heartwarming Christmas in a very cold place. I hope you will have a Merry Christmas and Happy Holidays. And a great feast. When you sit down to that feast, take just a second to reflect upon and thank those rough men who have ensured we get a peaceful rest on Christmas Eve. Thank our countrymen for their sacrifices. The Boss may have a hot cup of coffee in their honor — well, more likely to be with a bit of Courvosier, Kahlua, Baileys and some half and half but the spirit is the same. But what the Hell do I know? I’m just a Big Red Car. Be kind to yourselves, you deserve it. This entry was posted in Character, Military, Wisdom of the Campfire and tagged Christmas, peace, rough men, soldiers, veterans. Bookmark the permalink.